Canelle et Vanille posted these toasts as an antidote to all the holiday sweets consumed in February and March. Layered with goat cheese and chives, a drizzle of olive oil, English peas, and slices of Spanish sheep cheese, you could set these open-faced sandwiches out anytime as a healthy snack or light meal. 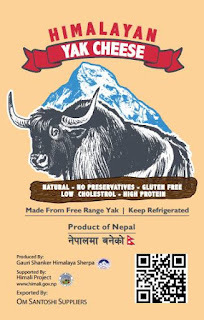 The star of the dish for me was the sheep cheese, Idiazabal, but an excellent substitution would be "free-range, grass fed" Himalayan Yak Cheese from Nepal. Now available for shipping anywhere in the world. 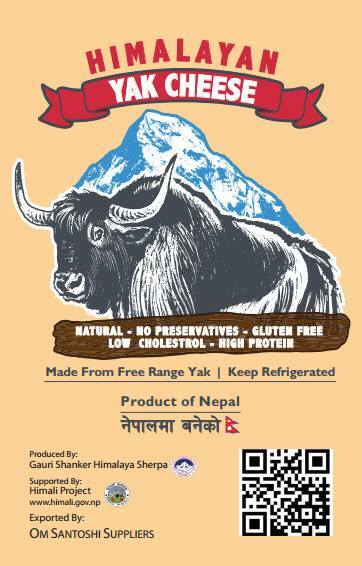 you can order it here, and a portion of the proceeds will go to the ongoing earthquake relief efforts in Nepal. For an exotic taste of spring where East meets West, please enjoy! 1. Shell the peas from the pods. Blanch the peas in lightly boiling water for 30-45 seconds. Remove and set aside. Boil the pea pods for 1 minute; remove the tenderest ones and set aside. 2. Toast the bread for about 2 minutes in a toaster oven. Mix the goat cheese with 2 tablespoons of the chopped chives and spread on the toast. Continue toasting for about another 2 minutes. Place toasts on serving plate(s). 3. 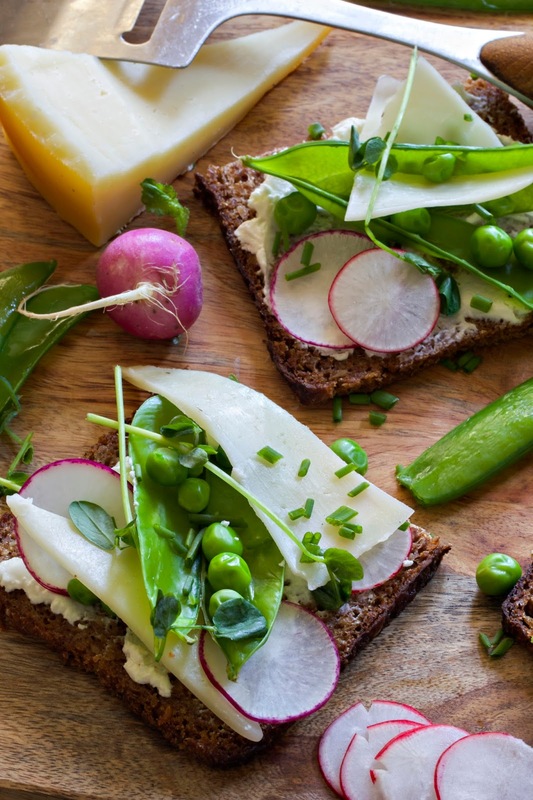 Drizzle the olive oil sparingly over the goat cheese; add the radishes, pea pods and peas as desired. Place the sliced sheep or yak cheese slices on top; garnish with chopped chives.